My students sometimes ask me what my favourite sport museum or sport heritage site is. Strangely, I often have a difficult time answering this. There are sites that, from a professional/researcher perspective, get almost everything right (The Ali Center in Louisville comes to mind, as well as the recently-discussed St. James’ Park tour in Newcastle). There are also locations that are also intricately interwoven with my own identity, heritage, and memory (Rexall Place/Northlands Coliseum and Telus Field in my hometown fit this category). Still, I find it a difficult question to answer – perhaps because it changes quite often. That being said, a recent fantastic day – as in, top five all time – involved a sport heritage site. This past May, my family treated me to a day at Lord’s. I had been to Lord’s a couple of times before – once for a tour, the other for an ODI. This past May, however, was something special. First, we were seeing a day of a test match – something that I’d always wanted to see. Secondly, I was there with my mother and father, my wife, and my infant son. Lastly, it was Lord’s…at Lord’s, for goodness sake! The time at the Ground itself was rather short – 14 wickets fell in a little over three hours, and England defeated New Zealand by a comfortable margin. But, the day itself was just wonderful. 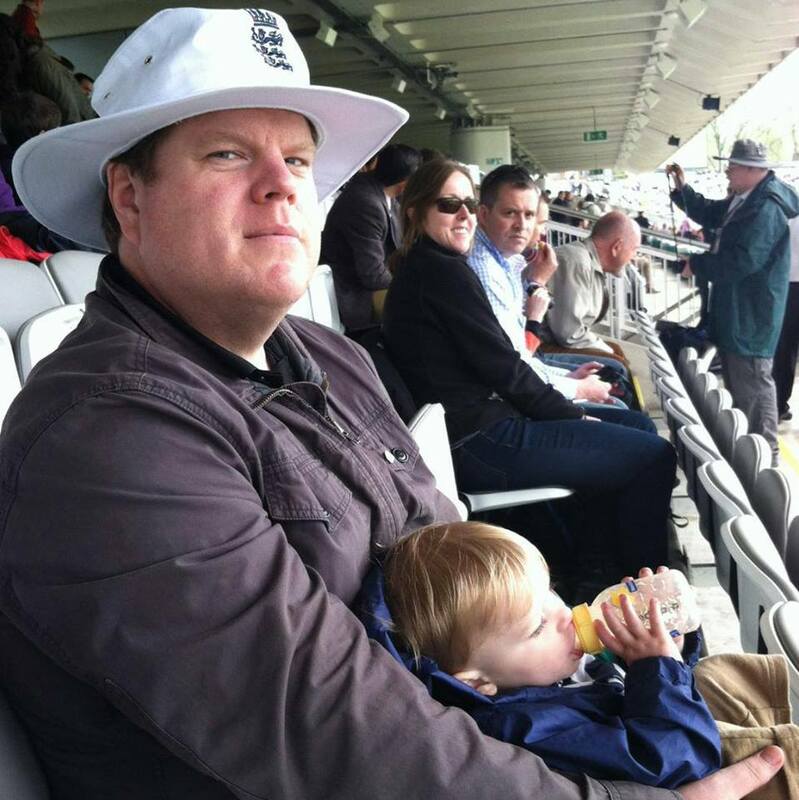 I was watching cricket with my family, I bought a silly wide-brimmed hat, which I adore (though, I think it ages me by at least a decade). We had a great conversation with some farmers from Cambridgeshire, and my son not only behaved and was charming throughout – he even patiently watched some of the match (which was remarkable, given his age). After the match, my wife and I took our son for a long walk through Regent’s Park. We ate ice cream, chased some ducks and pigeons, and strolled barefoot through the grass. It was a perfect day of leisure. So, as I sit here in a coffee shop in Clemson, South Carolina, following the second Ashes test at Lord’s, I am reminded of that lovely day with my family – and how I am convinced that much of the power of heritage comes from memory, nostalgia, or a personal connection. That being said, this day all happened at or around the “Home of Cricket” – which only enhanced the experience and provided an additional layer of heritage. I had been to Lord’s before – and, though I liked it very much, it didn’t resonate until that experience back in May. So, if you will forgive the indulgence, Lord’s – or, at least that particular day at Lord’s – is my favourite sport heritage experience. By Gregory Ramshaw in Uncategorized on July 19, 2013 . Its an interesting idea, for me my favorite heritage spots (sports wise) are Fenway Park, the MCG, the Big O and (although now gone) Ivor Wynne Stadium… all of it to do with my own history at each venue.